Standing apart from his fellow Chicago rappers with his alluring flow and his high-level wit, Z Money is quickly gaining critical and commercial traction with his bursts of concentrated street knowledge. Deploying his deft and delicate rhymes above darkly minimal trap production, Z Money shares Chiraq Mogul, his latest mixtape. 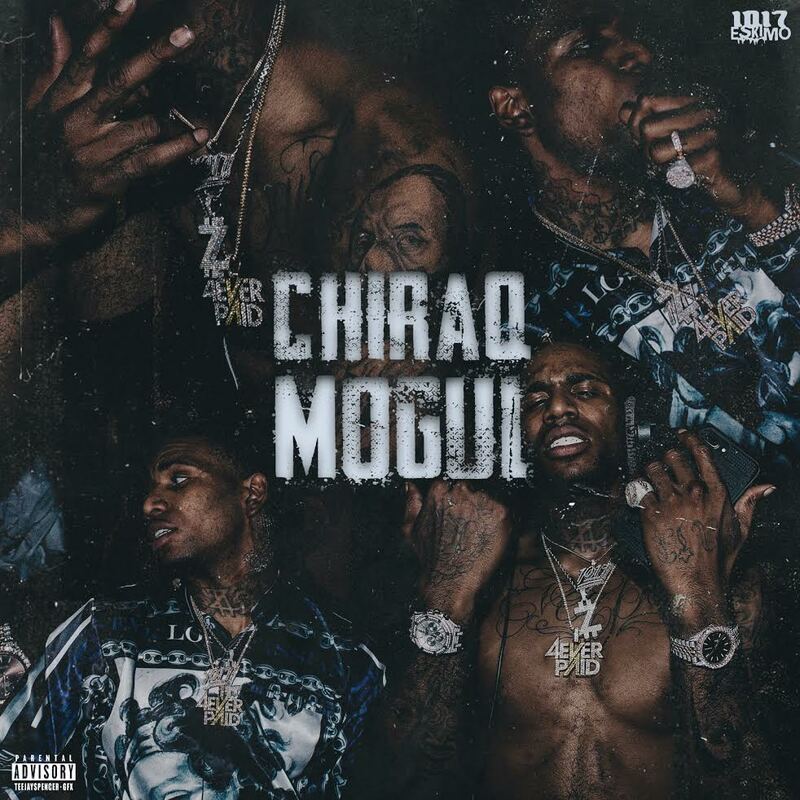 The follow-up to the critically acclaimed ZTM, which boasted the Valee-featuring cult hit “Two 16s,” Chiraq Mogul is a more substantial effort, comprised of 16 intense tracks, each marked by Z Money’s oft-imitated cadences and canny punchlines about the hustle. The new mixtape hosts previously released tracks such as “Bon Appetit,” which features G Herbo and Key Glockand garnered over 3 million views on YouTube, the hazy “Givenchy” (168k views), the haunting and absorbing “Bitcoin” (289k), and the recently released “80 Bands.” Featuring additional appearances from Key Glock and G Herbo, along with an appearance from 03 Greedo, Chiraq Mogul, arriving via 1017 Eskimo/Alamo, continues Z Money’s rise from the ashes as he follows his mentor Gucci on the path from underground success to mainstream figure. First coming to the forefront during the Chicago rap boom of 2012, Z Money stood out from the pack for his creative cadences, his malleable, high-pitched flow, which drew comparisons to Z Money’s idol Gucci Mane, and his rejection of the conventions of the drill music that dominated the city in that era. Releasing a series of popular mixtapes packed with street witticisms and raw honesty, Z Money gained cult hero status in Chicago for songs like “Regular” and “Want My Money,” which Chance The Rapper used in his original trailer for his 2013 breakout mixtape Acid Rap. In 2014, Z Money’s meteoric rise came to an abrupt halt when he was forced to spend nearly the whole year in prison for a probation violation. After his release, Z Money rededicated himself to his craft, moving away from his Chicago-based problems and temptations to the rap mecca of Atlanta. In ATL, Z Money caught the ear of a recently free Gucci Mane, who signed him to his fledgling 1017 Eskimo label. Since the signing, Z Money gotten his career back on the road to stardom with ZTM and Chiraq Mogul.